These days, the idea of the cyborg is less the stuff of science fiction and more a reality, as we are all, in one way or another, constantly connected, extended, wired, and dispersed in and through technology. One wonders where the individual, the person, the human, and the body are—or, alternatively, where they stop. These are the kinds of questions Hélène Mialet explores in this fascinating volume, as she focuses on a man who is permanently attached to assemblages of machines, devices, and collectivities of people: Stephen Hawking. 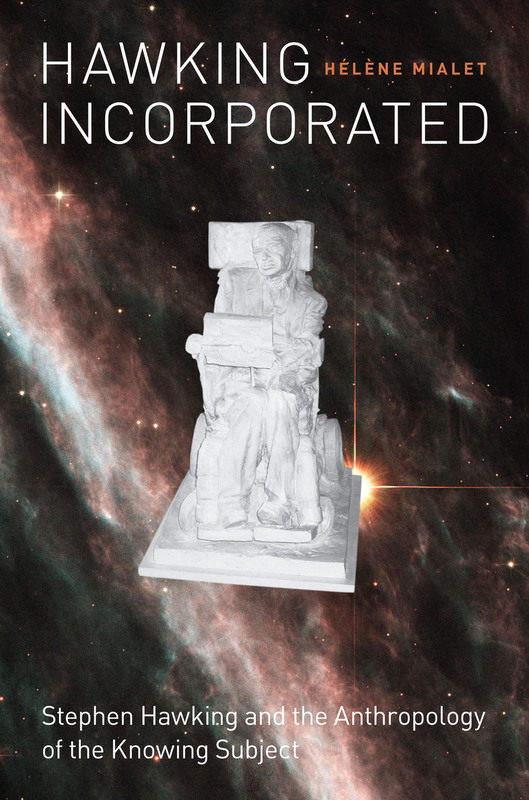 Drawing on an extensive and in-depth series of interviews with Hawking, his assistants and colleagues, physicists, engineers, writers, journalists, archivists, and artists, Mialet reconstructs the human, material, and machine-based networks that enable Hawking to live and work. She reveals how Hawking—who is often portrayed as the most singular, individual, rational, and bodiless of all—is in fact not only incorporated, materialized, and distributed in a complex nexus of machines and human beings like everyone else, but even more so. Each chapter focuses on a description of the functioning and coordination of different elements or media that create his presence, agency, identity, and competencies. Attentive to Hawking’s daily activities, including his lecturing and scientific writing, Mialet’s ethnographic analysis powerfully reassesses the notion of scientific genius and its associations with human singularity. This book will fascinate anyone interested in Stephen Hawking or an extraordinary life in science. Hélène Mialet has held positions at Cornell, Oxford, and Harvard Universities. She currently lives and teaches in Berkeley, California. "Mialet doesn’t ask what the famous scientist has taught us about cosmology. She asks what his life and career can teach us about scientific thinking in general—and about ordinary thinking too, for that matter. There is no doubt that Hawking is doubly exceptional, both in his mind and his body. The brilliant gambit of Mialet’s book is to explore this exceptionalism in order to reveal how scientific knowledge is made under far more ordinary circumstances." Book published by University of Chicago Press, 2012. Page maintained by BiblioVault.